BLOG TALK: ARE YOU HAPPY WHERE YOU'RE AT? I've been blogging for awhile now. I'm not a seasoned blogger, per se, but I have been around and a part of the blogging scene for a few years now. I've tried blogging different kinds of posts and have shared a lot of my heart and life. I may not have a thousand GFC readers to prove it, but I do have amazing friendships to prove that an online community is a real thing. A year ago last month, I not-so-celebrated the first anniversary of In Its Time and I've been doing a lot of thinking about this old blog. A few nights ago I found myself scrolling through and checking up on old blogs I used to follow (does anyone else do that, or is that just me?) and I started thinking about their blog journeys and mine. I've seen people pursue dreams and passions, and I've seen people make their blogs into a living. And I couldn't help but look at mine. For a split second, I was about to start comparing my blog to theirs. My creative journey with theirs. My education with theirs. My relationships/friendships with theirs. But when I clicked back on my blog, I surprisingly felt content. I'm happy with where I'm at. That's not to say that I don't have dreams and goals for my blog, but I'm happy. I'm grateful for the friendships I've made and the people I've met. I've got a full plate of blogs that I read daily (or at least try to!) and I've started taking my blog more seriously, too. I've created The Circle and have tested the waters of guest posts and post series. And while I can't say that I've created a brand, I do feel like I've finally found my niche. So to answer my own question, I think I am happy with where I'm at. It would be a lie to say that I think about the worth of my blog and if it's got enough life left in it to last another few years but that's another post for another day, right? All that aside, I'd love to know where you stand in your contentment in blogging. Do you think it's possible to be content in blogging? Or do you hold the mentality that there's no such thing as contentment? And do you have any goals in blogging? Any dreams? What do you think the blogging community will look like in the years to come? I love this! I've been thinking about this topic a lot lateley since I have been evolving the kind of posts I have every week and I've grown to love the diversity within every day in my space. I actually have a post ready for tomorrow talking about the passion of blogging and how I believe that is placed in my heart by God so I can openly share Him. I think it is so wonderful how we can all have our own blog and write what we want to write. It is OUR OWN space and I think that is beautiful! And thanks for linking up! I love finding new blogs to read through The Circle! i think a few of us have been feeling like this lately! after i wrote last night's post, i came to the realization that i get sucked into the glamour of it all because these days, bloggers get book deals and magazine features and so on. the more i think about it, the more i see that it's a heart issue. i want to be content in the life i live, the life i've created, and most importantly - the life God has beautifully created for me! And girl, thank you! I've been feeling a bit of writer's block lately so it's nice to hear that you enjoyed this post! I'm so glad that you said no to the comparison game!!! It is so tempting, but you know what, it's not very productive. Your blog is GREAT and it's yours and I wouldn't change a single thing about it! I see blogging changing so much. I think that as long as there are a few of us out there who are content to plug away at our small spaces and interact with our audience and look for other small spaces to interact with other bloggers, the BEST part of blogging will continue. I am grateful for the big blogs and all the content they pump out, but if they were gone tomorrow I wouldn't be as sad as I would be if all my small blogs and the people behind them disappeared. You know? I would like to see my blog grow a little more or at least get my readers to interact more via comments. I feel like I know my voice and I keep a variety of posts coming out. One thing that I need to work on is consistency and also writing to/for my readers a little more. And I also agree with you on how blogging has and is changing. I feel like there has been a huge shift towards other sorts of social media (instagram, twitter, etc.) and I feel like blogging (at least with some of the bigger blogs out there) is almost a dying art. It actually makes me wonder if it's more of a time and attention thing if anything (can you see this is a post in the making?). 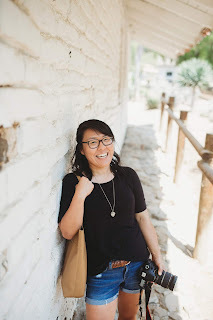 But like you said, the community is what's most important to me and being able to connect with other amazing bloggers is half of the reason why I blog--especially getting to know bloggers like you, friend! Oh, and who does know what they're doing when it comes to blogging? Like you mentioned, blogging is constantly changing and because it really is a new thing (at least for me!) it's something that we're all trying to learn more about--I think that's why bloggers love talking about blogging! This is a great topic. I think blogging is what you make out of it. Blogging should be something that one enjoys, interacting, building a community, sharing with others and not all about the numbers. I have witnessed on twitter lately tweets stating I need two more followers or follow me one way or another, it’s great an all, but are you blogging for the number of bloggers or to create something people will enjoy. I personally blog because I genuinely like to share my thoughts, connect with others and I love reading meaningful comments. If people continue to keep in mind that blogging is about creating a community and not just all about the numbers, numbers are just a big plus, blogging will continue to be genuine. I love when big & small bloggers take the time to respond to comments, it just makes it that much more meaningful. Please excuse my long comment, these were good questions. Have a great day! I agree, Rosy! Blogging is definitely what you make of it--and community and passion are the reasons why I find myself sticking with it. If anything, I've learned (the hard way) that numbers and stats will get me no where and they'll only hurt my writing and blog. p.s. Long comments are my fave so keep 'em coming! Personally I love blogging and my blog but at least once a week (sometimes more) I feel as if what I'm blogging isn't good enough! Then I think, but I'm not blogging for the followers or likes, I'm blogging for me. Oh, there is definitely true contentment... it's just so elusive to us! I wonder if this idea can move over to artists of any kind because I sometimes feel discontent with a photo or painting or something, but it's not necessarily that I'm comparing it to others... it's just not what I had in mind. That probably makes no sense. Oh, that makes complete sense to me! I think that truly does apply to artists! If you ask me, bloggers ARE artists--we're just sharing our lives through iPhone photos and short blurbs in Blogger. :) I think that discontentment can come from a wide variety of things, whether it's our own personal standard or that crazy comparison game. If you ask me, being discontent isn't necessarily a bad thing because it can help us grow and change. I think it's just important to think about why we are discontent and what we do with it! I like you can say...that I AM happy! I had a great talk with my sweet husband the other day about my blog...he is the best, and the most supportive of me ever, and I treasure that. His words blessed me, and encouraged me so much about my space. If I LOVE my blog, and love my readers....and it pushes me creatively and allows me to express myself and share our life with others....then I am happy. If I never make a dime, I am happy. I love your blog talk series- keep em' coming! And that sentence was SPOT ON. Bloggers have to really love on their readers AND their blogs and it really does push our creativity and ability to share. I couldn't have said that better! I love these posts, I always love posts on blogging. I am always amazed at how many people read it. I am excited about the next phase that we have planned with the newsletter. I can't wait to see where it all goes! Thanks, Gina! I feel the same way right now! I, too, have lots of goals and dreams for my blog, too, but I am really happy with where it's at and how it's changed me and helped me grow personally. It's an amazing feeling and it's something I hope I never forget! Such an interesting topic to bring up! Blogging definitely does lead to discontent (and "I wants") sometimes, but I'm with you on where I come down in the end: while I marvel at the businesses and livings that some people can make out of a blog, and sometimes feel jealousy about all the cool stuff some people seem to get through sponsorships and collaborations, that's really not what I'm going for or have desire of, if I'm honest. I'm very content for blogging to be a fun hobby (which it is), a way to "meet" tons of great new people (which I have done), and a way to exercise my creativity/skills (which I do... but is the area that causes the most actual discontent because sometimes trying to figure out how to implement designs and layouts and such by myself can be sooooo frustrating with my lack of professional knowledge!). It's hard isn't it. I'm constantly trying to find time to make my blog more than it is. I want to do more DIYs, more recipes, more photography and eventually get to a stage where I can accept sponsorships and monetary rewards. But right now I am content with the slow growth I'm making. Things take time and, being as young as I am, I have that time to slowly figure things out. Good point--the desire for more, for growth, and for dream-making is definitely a human trait and one I never really applied to blogging until recently! as always....so many good thoughts and though-provoking questions. this post really hit home with me. I've seen the types of blogs I read change (I don't have too much in common with certain people and vice versa) - and I wonder who was reading my blog that stopped...and why, I think these are normal questions when it comes to blogging. I think "blogging is a fad that will eventually die out" and then I think "but everyone has a story to tell, and I love hearing people's stories". I just want to go and have coffee with you on a rainy/foggy day and chat for hours. me - im not 100% sure I've ironed mine out - I mean things will obviously always change...but I think I'm trying to see where my voice is leading me, I feel like there is a little change...and I don't know where it means. I have those same questions, too. I think that a lot of people find blogs because of the life stage they're in--whether they're sin college, single, married, working, with kids, etc. And I think that when life stages change, blog content or blogging frequency changes and it affects the audience (at least that's what I've noticed in my own blog reading habits!). And yessss, let's have a coffee date! I was just thinking this the other day and how much I wish I could just hop on a plane and come visit!! I think you've got a niche! You have such a solid and open voice and your knowledge, your experiences, and your original content all create an amazing environment and even though time changes, your writing does not!